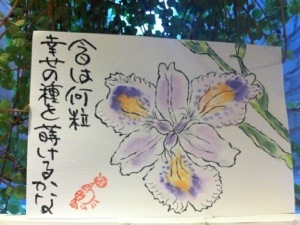 A lovely spring etegami of an iris, by Fumiko in Japan. Thanks so much for your comment. Fumiko does really wonderful etegami!